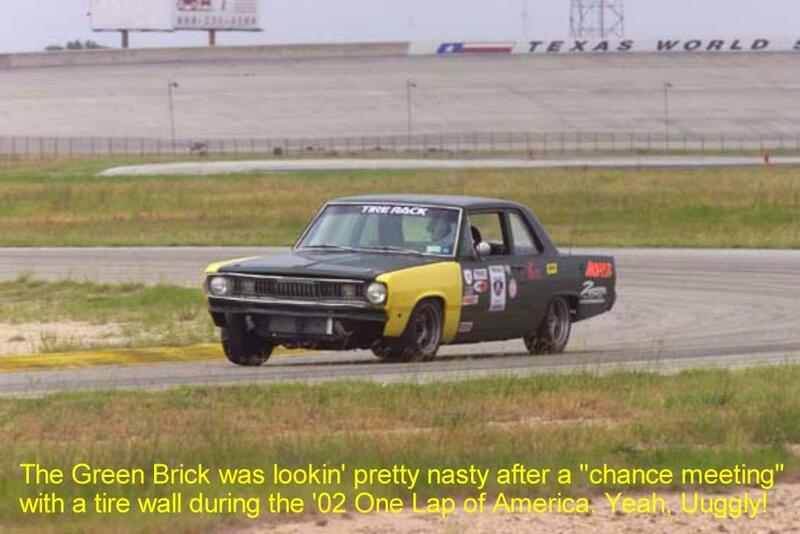 When the Green brick, our 69 valiant street-legal roadracer, made its last national appearance (the Car and Driver 2002 One Lap of America), it was lookin pretty beat. We finally found a body shop we had confidence it: Empire Auto Body in New Windsor, NY ( www.empiremopars.com ). The photos speak for themselves. These guys are an undiscovered jewel – a national-level shop lurking quietly in the corner. Heres some higher-resolution photos. For the whole sordid story, including some unexpected problems with a highly vaunted manufacturer of fiberglass body panels, see the August, 06 print edition of Mopar Action.